It seems like it would be impossible to live in a city for years and find a neighborhood you’d never even seen before, but yesterday we did. I’ve heard about Cleveland’s Asiatown for years, but I never knew where it is or how to get there until I started waiting around for directions. A few weeks ago, Ryan and I were in San Francisco with Pete and Erin, and we stumbled into the city’s famous, elaborate, and gorgeous Chinatown, which reminded me that I’d always heard of a similar place in Cleveland, but, until recently, it seemed like a bit of a myth to me. So I started looking for direction, and, last weekend before tap, I found an article in Scene with information about a new restaurant that’s opening soon there. According to the article, even about seven years ago, most of the storefronts in the area were boarded up, but now it’s a bit of a thriving neighborhood. Last night, Ryan and I didn’t have much going on, so we ventured out in the snow for some Pho. ( I know, I know, that only looks like it rhymes). We ended up at Superior Pho, a tiny place that had good reviews that, it turns out, were well deserved. It’s ensconced in a little mall-ish building, but it’s not too hard to find. And it’s worth hunting down because the food was really good. I had the Pho Chin, which is a Vietnamese soup with meat, noodles, and all kinds of vegetables. The broth is herby and limey – it’s really delicious. Ryan had the chicken fried rice. I’m not sure if that’s a Vietnamese dish or not, but it was pretty good, too. 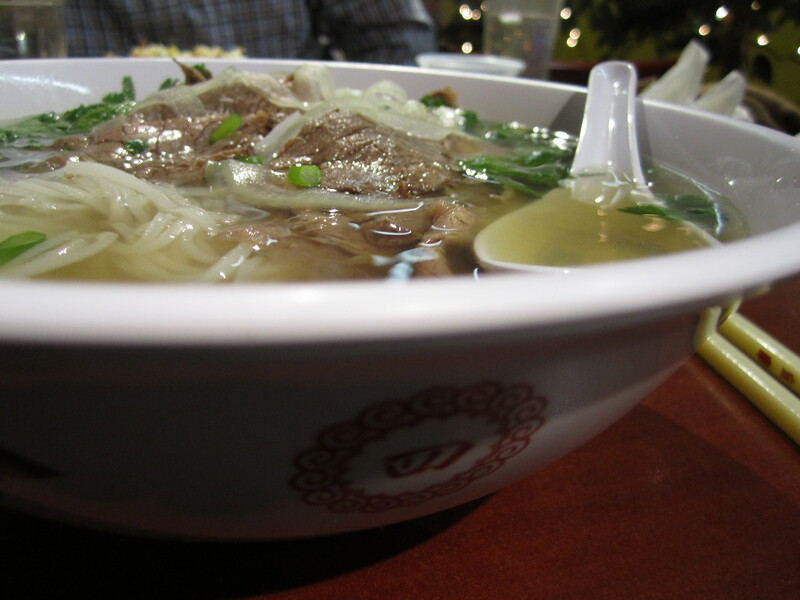 Not too far away from Superior Pho are other Vietnamese restaurants and also Chinese and Korean eateries. We stopped at Koko Bakery for some dessert, and there were tables of people all cozy and warm around 6 p.m. while the snow was falling outside. Sometimes I find myself, in thought and in place, following the same paths over and over again. It’s easy that way. And it reminds me of the line from Walden when old Henry David went back to his house in the woods after he’d been gone for awhile. He noticed that the path he used to walk to the pond was there even though he’d been gone for some time, and it made him think about how people just follow the same paths they or others have always been on. 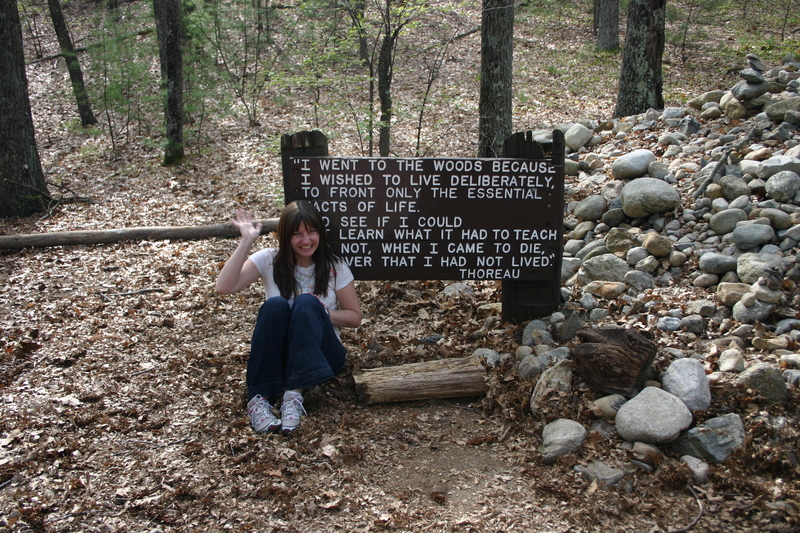 This is me stomping all over Thoreau's path. This time of year, especially, when I feel myself in a beaten track, whether in my life or my mind, I need to remind myself to look for some place I haven’t been lately. There are so many.